Passionately written science meets the human condition in this occasionally raunchy, at turns hilarious and ultimately illuminating novel. 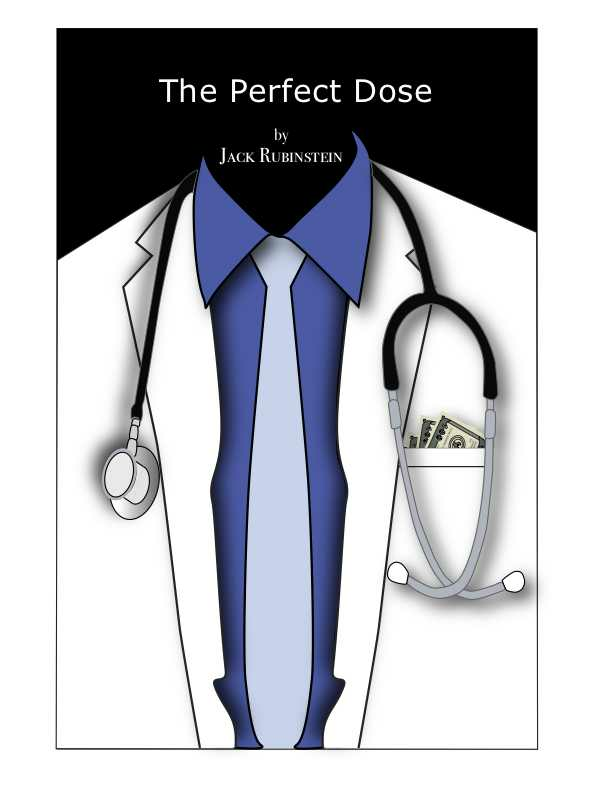 The Perfect Dose follows a run of the mill Midwest physician as he throws himself into a headlong fight into the corrupt American healthcare system and those that threaten the scientific progress. A new treatment that could save millions of lives around the world has been developed in a non-descript lab in the Midwest, though the path to get it to patients is complicated by an anti-science administration that has swept into all levels of office across the United States. This novel takes the reader through an exhilarating ride through the depths of academia, the hallways of power and the bars that keep the scientific community from going crazy. This is an uncensored vision of what medical progress looks like in America in the 21st century. "An original book that delves into the potential catastrophic effects of thwarting scientific advancement in the current healthcare system. Rubinstein interweaves humor with science, greed, and virtue that makes for a fascinating foray into a what if scenario involving a new treatment that gets lost in the red tape of an antiquated system. This funny and unique novel takes a look at hard truths in our administration that could block the advance of life-saving drugs and affordable healthcare."